The 102-room Hotel Vertigo is a modern twist on a familiar favorite - a landmark redux. The hotel is the site of the Empire Hotel made famous in arguably Alfred Hitchcock’s best work, Vertigo. It’s ideally nestled in a charming lower Nob Hill pocket of San Francisco, just slightly off the beaten path of bustling Union Square. Hotel Vertigo is at the nexus of a lively wheel of energy with its spokes outstretched to Union Square, the theater district, Convention Center, Market Street, Westfield Center, City Hall, the Opera House, and Nob Hill. There’s a sense of movement and excitement all around inviting guests to jump in and get caught up in the whirl. 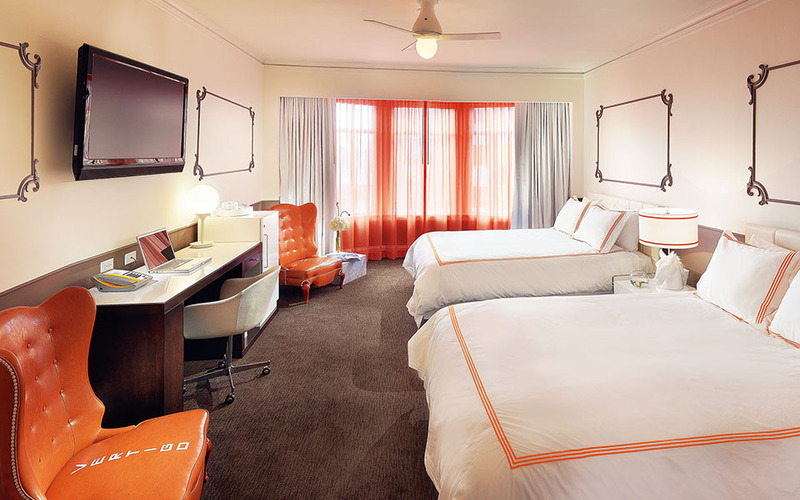 Located close to San Francisco’s Civic Center and Moscone Convention Center, the 143-room Americania Hotel is a newly renovated San Francisco boutique hotel featuring playful amenities such as retro-style furnishings and board games in each guestroom. An outdoor pool provides families with memorable fun during their stay. Perfect for families and business travelers, this urban oasis offers complimentary high-speed Internet access, flat screen TVs, and iPod docking stations. 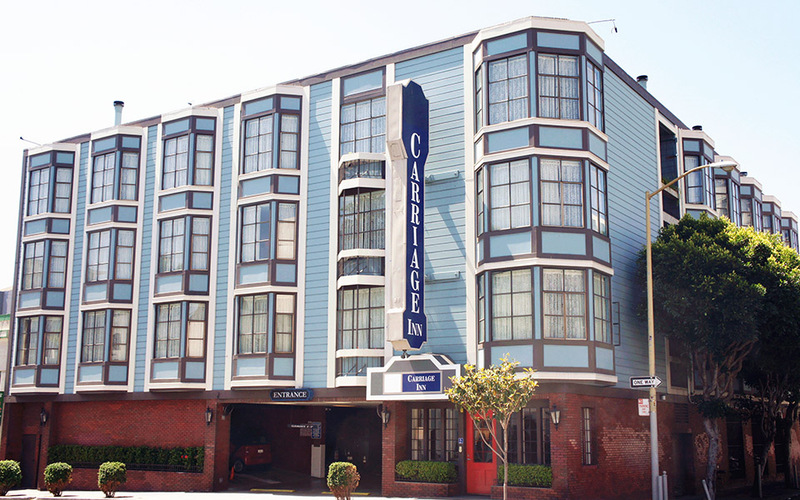 The Carriage Inn is a 48-room literary themed hotel profiling San Francisco’s unorthodox luminaries in each guestroom and providing a glimpse of San Francisco’s legendary and diverse counterculture. 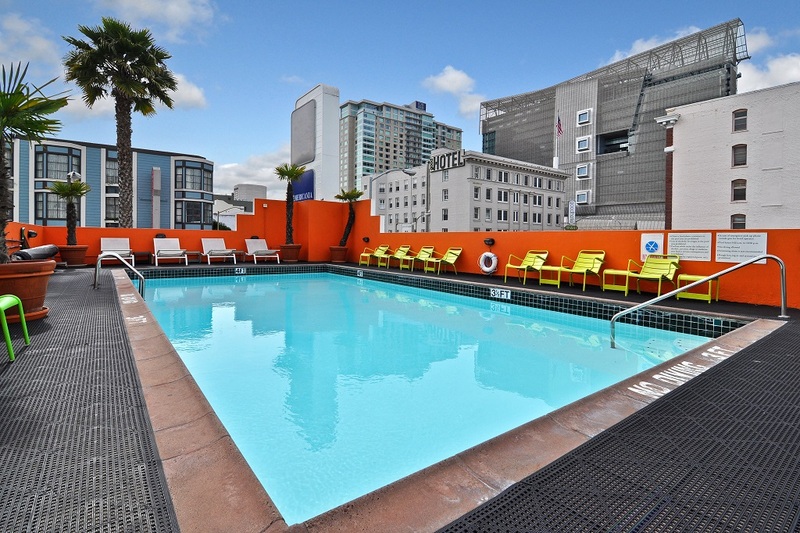 Situated near Westfield San Francisco Centre and Union Square, the hotel offers flat screen TVs, complimentary high speed Internet access, and iPod docking stations. 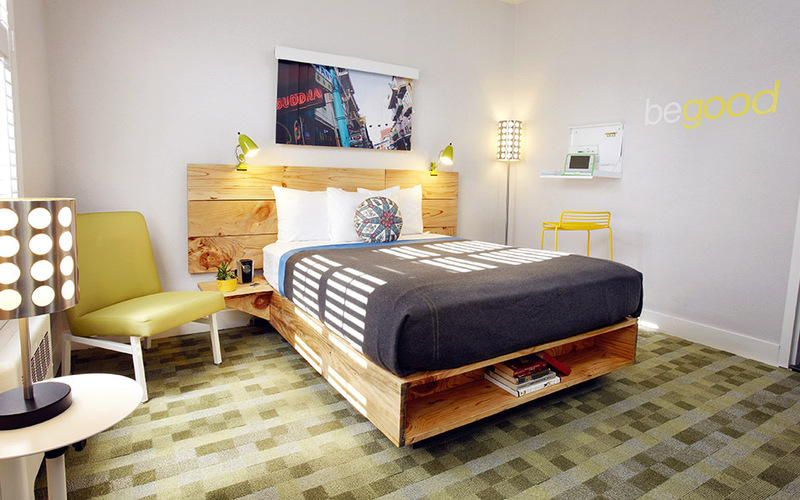 Designed to inspire the “good in us all,” Good Hotel is an eco-friendly hotel with décor created from reclaimed and recycled construction materials. The 117-room hotel was named as one of California Home+Design’s “Coolest Hotel Designs in California" and located walking distance to San Francisco’s shopping and theater district. The hotel’s signature restaurant, Good Pizza, serves artisan thin-crust pizza made with the freshest local ingredients.